WarriorNY (Middle Village): AWFUL book! The characters did not act like teenagers...they acted like very spoiled pre-schoolers! I hated this book in this overrated series. SherlockJr (Downey): in the front cover, Dumbledore's hand should be black and burned, looking like it's dead. First things first. Pun intended. This book was purchased be me from Amazon.co.uk. Original packing slip included. See Pics. I can provide and photo or video proof needed. This is my book. I purchased from Amazon and then stuck it in a box, with the rest of my Harry Potter books. No one else can provide this proof of purchase or proof of being a new copy. Ask me more questions, I'll not lie. I have the book and all proofs of anything I claim. I'm not sure what this is worth since no one has anything close. It's not signed. It's actually new. Unbent, unopened. Undisturbed. Please ask for any pic at any angle. I'm setting a high price. If you think it's worth less, than let me hear it. I see 3000 for 'as new' with no proof. Bloomsbury, London, 2005 First Edition, First Printing authentically SIGNED by J. K. Rowling. A spectacular copy of this TRUE FIRST EDITION with the words "First Edition" printed on the copyright page. This First Issue dustjacket is vibrant in color with NO chips or tears and has the publisher's £16.99 printed price on the front flap. The book is bound in the ORIGINAL publisher's pictorial boards and is in excellent condition. The binding is tight with NO cocking or leaning and the boards are crisp. The pages are clean with NO writing, marks or bookplates in the book. A fabulous copy SIGNED by the author. We buy SIGNED Rowling First Editions.. Signed by Author(s). 1st Edition. Hardcover. Fine/Fine. London: Bloomsbury, , 2005. Octavo. Original pictorial paper boards. With the dust jacket. Tips slightly rubbed, else a fine copy in the jacket. First edition, first impression. Inscribed by the author on the dedication page, "To Ben, with best wishes, J. K. Rowling". At the time of the publication of Half-Blood Prince, Rowling was no longer undertaking book tours, and only did one signing session at the midnight launch event. The vast majority of autographed copies were just signed, and inscribed copies, such as this, are extremely uncommon. London: Bloomsbury, 2005. 1st Edition . Hardcover. Fine/Fine. 8vo, pp. 607, unclipped dust jacket with the minimum of shelf wear, bright, author's signature on title page, faint yellow spotting to edges, otherwise clean. crisp and bright, binding tight. In its original paper bag (a little crumpled) printed with the date 16th July 2005, contained within a blue velveteen bag with gilt tassels (one detached) and draw string, this with a label bearing the recipient's name, two t-shirts, one bearing the book's title and 'Book Launch, Saturday 16th July 2005', the other with the name of Dubray Books [Dublin], the name of the book and the date, July 16 2005; a gilt painted pebble numbered 10, a silver painted pebble numbered 4, two zig-zag stickers, a black and coppery-gilt lame cloth in which there was food for the midnight feast, a printed sheet (folded) containing the words of 'The Hogwarts Song' and a laminated pass for The Edinburgh Weekend, 15-17 July 2005, made out to the recipient's mother who accompanied her. This copy was presented as a prize to an 11-year old Dublin young lady who had won a competition to be at the launch of the book in Edinburgh Castle on the 16th of July 2005. There is a Youtube recording of the event in which the recipient is clearly seen, as well as a record of the question she was allowed to put to the author. The pebbles were drawn to determine each child's position within the selected audience on the stage with Ms Rowling. The recipient drew one but was placed in a disadvantageous position and was allowed to redraw to be moved closer to the front due to her diminutive size! This is one of the rarest signed Harry Potter books as the author had ceased signing tours by the time of its publication. London, United Kingdom: Bloomsbury Publishing Plc, 2011 A fine first UK edition in a fine dust jacket, signed by J. K. Rowling on the title page. First Edition stated on the copyright page. This is the adult format of the book, which was issued at the same time as the children's format. Housed in a custom-made collector's slipcase.. Signed by Author(s). 1st Edition. Hardcover. Fine/Fine. First Edition, First Printing with the words "First Edition" printed on the copyright page. A beautiful copy SIGNED by J.K. Rowling on the title page with J K Rowling's personal hologram to guarantee authenticity of the signature. The book is bound in excellent condition. The binding is tight with NO cocking or leaning with minor wear to the boards. The pages are exceptionally clean with NO marks or bookplates in the book. A superb copy in collector's condition. We buy SIGNED Rowling First Editions. Harry Potter and The Half Blood Prince - UK First Edition - Signed and inscribed to Robbie by J.K.Rowling The book and dust jacket are in pristine, as new, unread condition. This book has been carefully stored and wrapped in tissue paper from new. The dust jacket is in a protective plastic cover. Overall, this book is in an highly collectable mint condition. Harry Potter and the Half Blood Price By J.K.Rowling. Signed, UK First edition, Bloomsbury. Both book and dust jacket are very clean and in near fine condition. This book is rare to find in such an highly collectable condition and signed J.K.Rowling. London: Bloomsbury, , 2005. Octavo. Original pictorial paper boards. With the dust jacket. A fine copy in the dust jacket with a touch of creasing to extremities. First edition, first impression, signed by the author on the publisher's promotional bookplate, specially issued for this title, as Rowling undertook fewer signings for the Half-Blood Prince than for previous book launches. Bloomsbury, London, 2005 First Edition, with the words "First Edition" printed on the copyright page. This is the First Edition, First Printing of the deluxe edition. A spectacular copy. The book is bound in the publisher's original blue cloth and appears UNREAD. The binding is tight with NO cocking or leaning and the boards are crisp. The pages are clean with NO writing, marks or bookplates in the book. A superb copy.. 1st Edition. Hardcover. Fine. New York: Arthur A. Levine Books, 2005 Stated first American edition, July 2005. In clean intact dj. New York, Scholastic Press Arthur a Levine, 2005. 4to. First Edition; First Printing. Hardcover. Fine in a Fine dust jacket. True First Printing of the First American hardcover Edition, with the publisher's complete number line of "10 9 8 7 6 5 4 3 2 1," listed on the copyright page. (with PICTURE) The sixth Harry Potter book. July 2005. Purple diamond blind stamped boards with spine cover and purple title printing to spine. Both Dust jacket and book are as New. Original price of $29.99 on inside flap of D. J. 8vo - over 7¾" - 9¾" tall. Arthur a Levine The sixth Harry Potter book..
Bloomsbury, 2005. First Deluxe Bloomsbury Edition. Cloth. Fine/No Jacket as Issued. A handsome First Edition (so stated) of the sixth book in the Harry Potter series, in the Deluxe Bloomsbury Edition. Published in the U.K. and prohibited from original sale in the U.S. 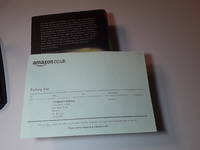 In bright blue cloth with gold titling, gold gilt page edges and a green cloth bound-in bookmark. In fine condition and a very lovely copy. London: Bloomsbury, 2005. First Edition in the deluxe publisher’s binding. Illustrated throughout. 8vo, publisher’s original blue cloth lettered and decorated in gilt and with a pictorial onlay in colours on the upper cover and spine. 607 pp. An extremely fine copy, as mint and unused. FIRST EDITION OF THE SIXTH HARRY POTTER BOOK. It sold nine million copies in the first 24 hours after its release, a record at the time, and won several recognitions, including the 2006 British Book of the Year award. Bloomsbury. Hardback. Fine/Not Issued. 2005. Hardback. Fine. First Edition. First Print. Blue cloth, with gilted page edge. British Deluxe Edition. The sixth Harry Potter book. No Dust jacket as issued. Books are packed and shipped in boxes. London: Bloomsbury, 2005 FIRST EDITION U.K. DELUXE of J.K. Rowling's "Harry Potter and the Half-Blood Prince." Published in London by Bloomsbury in 2005. First Edition stated on copyright page. This first U.K. deluxe edition of the sixth book in the Harry Potter series is as new, in original blue cloth, with gilt on all edges of the pages. No dust jacket, as published.. 1st Edition. Hardcover. New/No Jacket. New York: Arthur A. Levine Books/Scholastic Press, 2005. Book. As New. Hardcover. 1st Edition. First Edition/First Printing of the Special Deluxe Edition in Slipcase. Hardcover in dustjacket. 652 pages. The sixth novel in the Harry Potter series and the darkest. Pictorial heavy board slipcase. Includes 32 page insert featuring near-scale reproductions of Mary Grandpre's interior art, as well as full color frontispiece art on special paper. In original shrinkwrap. Becoming scarce. Just two small tears to the shrinkwrap, otherwise, As new. Unread. From my smoke-free collection. Ships in well-padded box..
Scholastic, 2005. First Edition. Hardcover Hardcover. As New/As New. 1st printing with full number line to 1. This is a true 1st/ 1st. Pristine condition. This is the first USA edition. Book is unread. Binding is very tight. No markings. Text is clean. NOT ex-library, book club, or remainder. Dust jacket is now protected in a clear, removable, archival cover which will protect the quality and value of your collectible book for years to come. Book is currently being protected in (and ships in) a clear archival sleeve. Ships same day bubble-wrapped AND BOXED w/ standard domestic shipping. Free tracking. 100% Guaranteed. ISBN: 0439784549. ISBN/EAN: 9780439784542. Bloomsbury Publishing, 2005. First UK edition-first printing of this Deluxe edition. Hardcover. Near fine/Near fine. Near fine condition.Bloomsbury,2005.First UK edition-first printing of this Deluxe edition.Printed in UK by Clays. Pictorial blue hardback(gilt lettering,illustration on the front cover,gilt lettering to the spine, two small nicks and dent on the edges of the cover and spine) in near fine condition, no Dj as issued.Gilted outer edges of the pages.Nice and clean pages as new with small ink marks and a couple of scratches on the outer edges, small white label inside the edges of the first page of the book. 607pp.A collectable first edition.Heavy book (approx. 1 Kg.). Book Description: In a brief statement on Friday night, Minister for Magic Cornelius Fudge confirmed that He Who Must Not Be Named has returned to this country and is once more active. It is with great regret that I must confirm that the wizard styling himself Lord - well, you know who I mean - is alive and among us again, said Fudge. These dramatic words appeared in the final pages of Harry Potter and the Order of the Phoenix. In the midst of this battle of good and evil, Harry Potter and the Half-Blood Prince takes up the story of Harry Potter's sixth year at Hogwarts School of Witchcraft and Wizardry, with Voldemort's power and followers increasing day-by-day. (London): Bloomsbury, 2005. Fine/Fine. First edition, adult version. Fine in fine dustwrapper. Basis for the film. This is a First American Edition and first printing copy of Harry Potter and the Half-Blood Prince. It is in great condition. Never read and only travelled a couple times. New York, New York, U.S.A.: Arthur a Levine, 2005 Fine in a fine dust jacket. First U.S. Deluxe Edition SIGNED by Mary Grandpre, the illustrator. Comes in fully illustrated wrap-around dust jacket and publisher's special slip case.. Signed by Illustrator(s). 1st Edition. Hardcover. Fine/Fine. New York: Bloomsbury. 2005. First Edition; First Printing. Hardcover. 0747581088 . Very Good+ in a Very Good+ dust jacket. Spine slightly cocked at crown. Stated First Edition. ; 7.9 X 5.2 X 2.1 inches; 607 pages . Arthur A. Levine, An Imprint of Scholastic, Inc.. As New in As New dust jacket. 2005. First Edition. hardcover with dustjacket. 0439784549 . Book 6; Number line 10 9 8 7 6 5 4 3 2 1 05 06 07 08 09. Stated First American edition July, 2005. No names or markings in the book. Book and dust jacket are in as new condition. ; Standard Book Size. ; 652 pages . 2016-08-11. New. Ships with Tracking Number! INTERNATIONAL WORLDWIDE Shipping available. Buy with confidence, excellent customer service! Carlsen Verlag GmbH. PAPERBACK. 3551354065 New Condition. . New. Carlsen Verlag GmbH. PAPERBACK. 3551354065 Like New Condition. . Fine. Bloomsbury Publishing. First edition hardback. New in publisher's original shrink wrap; special collectors edition; . New. Hardcover. 1st Edition. 2005. Bloomsbury Publishing,. First edition hardback. New in publisher's original shrink wrap; special collectors edition . New. Hardcover. 1st Edition. 2005. New York: Arthur A. Levine. An Imprint of Scholastic Press., 2005. Book. As New. Hardcover. 1st Edition. First Edition/First Printing. Hardcover in unclipped dustjacket. 652 pages. The sixth Harry Potter novel, and the darkest. Artwork by Mary GrandPre. As new. Unread. From my smoke-free collection. Ships in well-padded box.. Liquidation of book dealer's personnel collection. Never been read. LONDON: BLOOMSBURY, 2005. 1ST EDITION. HARDCOVER. FINE/FINE. LONDON: BLOOMSBURY, 2005. 1ST EDITION. FINE/FINE. Bloomsbury, London, 2005. Hardcover. Book Condition: Fine. Dust Jacket Condition: Fine. First Edition. Fine Copy of this Book in Publisher's original pictorial boards in a matching Fine Dust-Jacket.A Wonderfully bright and unfaded dust-jacket.Not price clipped (£16.99 showing to inner flap).This copy has NO previous owner's names present.The book has a firm binding with No hinge weakness and there are NO loose leaves etc.Tight square binding.Contents remain clean internally.A superb copy with NO faults for the collector. (This is the UK first edition as stated). This is the rare misprint that states "eleven "outstanding" O.W.L.s." When it is supposed to be Ten Outstanding O.W.L.s. on page 99. Once the mistake was noticed, it was corrected,but this one clearly slipped through the net). This book is UNREAD in mylar cover, not remaindered or book club or library, unmarked throughout, unclipped jacket. Very Scarce in this condition and unread. New York: Scholastic. As New in As New dust jacket. 2005. Deluxe Edition. Hardcover. 0439791324 . A fascinating US deluxe edition in Very Fine condition in alike slip-case, never taken out of its original shrink-wrap; The sixth book in J. K. Rowling's Harry Potter series. "The war against Voldemort is not going well, Dumbledore is absent from Hogwarts for long stretches of time, and the Order of the Phoenix has already suffered losses. Harry searches for the story of the boy who became Lord Voldemort..... " (from the dust-jacket). The Deluxe Edition features the exclusive Full-Color Artwork and Illustration Showcase . London: Bloomsbury. This is a Fine Copy of this Book in Publisher's original pictorial boards in a matching Fine Dust-Jacket.A Wonderfully bright and unfaded dust-jacket.Not price clipped (£16.99 showing to inner flap).This copy has NO previous owner's names present.The book has a firm binding with No hinge weakness and there are NO loose leaves etc.Tight square binding.Contents remain clean internally.A superb copy with NO faults for the collector.8vo 607pp (This is the UK first edition. This is the rare misprint that states "eleven "outstanding" O.W.L.s..." When it is supposed to be Ten Outstanding O.W.L.s.. on page 99. Once the mistake was noticed, it was corrected,but this one clearly slipped through the net) . Fine. Hardcover. First Edition. 1st Printing. 2005. London: Bloomsbury. 2005. First Edition. Hardcover. 074758110x . Very Good in a Very Good dust jacket. Adult edition. Edgewear. ; 7.95 X 5.35 X 2.13 inches; 607 pages; Original unclipped dust jacket protected by archival Brodart cover. All domestic orders shipped protected in a Box. .
London: Bloomsbury. This is a Fine Copy of this Book in Publisher's original Black Cloth with gilt title lettering to spine,in a Fine Dust-Jacket.A Wonderfully bright and unfaded dust-jacket.Not price clipped (£16.99 showing to inner flap).This copy has NO previous owner's names present.The book has a firm binding with No hinge weakness and there are NO loose leaves etc.Tight square binding.Contents remain clean internally.A superb copy with NO faults for the collector.8vo 607pp (This is the UK first edition. This is the rare misprint that states "eleven "outstanding" O.W.L.s..." When it is supposed to be Ten Outstanding O.W.L.s.. on page 99. Once the mistake was noticed, it was corrected,but this one clearly slipped through the net) . Fine. Hardcover. First Edition. 1st Printing. 2005. London: Bloomsbury. This is a Fine Copy of this Book in Publisher's original pictorial boards in a matching Fine Dust-Jacket.A Wonderfully bright and unfaded dust-jacket with faint scratch mark to the head of spine.Not price clipped (£16.99 showing to inner flap).This copy has NO previous owner's names present.The book has a firm binding with No hinge weakness and there are NO loose leaves etc.Tight square binding.Contents remain clean internally.A superb copy with NO faults for the collector.8vo 607pp (This is the UK first edition. This is the rare misprint that states "eleven "outstanding" O.W.L.s..." When it is supposed to be Ten Outstanding O.W.L.s.. on page 99. Once the mistake was noticed, it was corrected,but this one clearly slipped through the net) . Fine. Hardcover. First Edition. 1st Printing. 2005. 2005-07-05. New. Ships with Tracking Number! INTERNATIONAL WORLDWIDE Shipping available. Buy with confidence, excellent customer service! Bloomsbury,, . 8vo., First Edition; black cloth, gilt back, a fine copy in unclipped dustwrapper.